As Chartered Building Surveyors, we have provided an Inclusive Design Team package to provide to clients the best professional approach to achieving their projects. 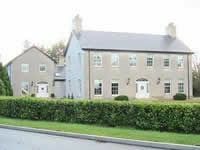 Inclusive design incorporates our design services in new build Rural housing, warehouse & Industrial and Office buildings. We provide multi-disciplinary services along with external professional consultants to form an inclusive design team insuring a professional approach towards our client's requirements.